"....The two pipeline projects Multi-Product Pipeline (MPP) and the Trans-Sabah Gas Pipeline (TSGP) will be of much economic and energy security benefits to Malaysia were negotiated on a government-to-government basis with the People's Republic of China....."
Facebook posting on Tuesday (June 5). During the signing of the MOU, Najib said China had also committed to importing goods worth US$2 trillion (RM7.969 trillion) over the next five years from Malaysia, investing up to US$150bil (RM597bil) in Malaysian and to offer 10,000 places for training and studies in various institutes in China. 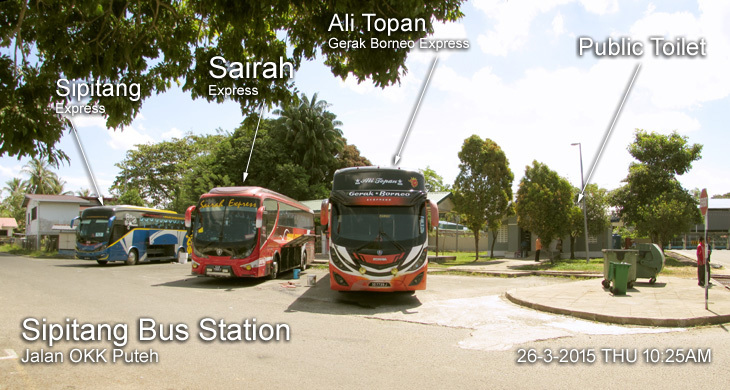 There are several bus companies covering different section of the Pan-Borneo Highway. But there is one bus company cover the whole route. 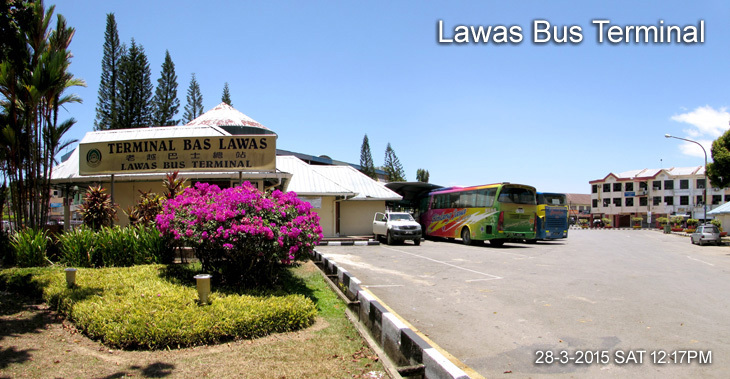 Salam Bumimas Express has buses from Kuching-Miri-Kota Kinabalu-Tawau. 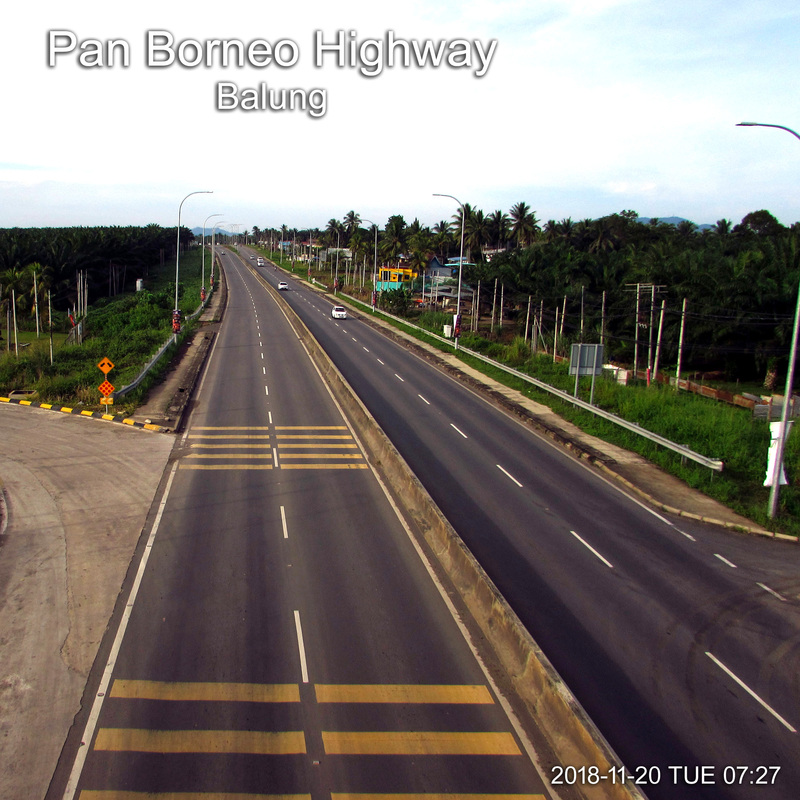 Pan Borneo Highway is a road network on Borneo Island connecting two Malaysian states, Sabah and Sarawak, with Brunei. The route start at Tawau Town of Sabah and ends at Sematan on the West Kalimantan/Sarawak border. The highway is numbered AH150 in the Asian Highway Network and as Malaysia Federal Route 1 in Sarawak. In Sabah, the route numbers given are 1, 13 and 22. The highway is a joint project between both governments which started as soon as the formation of Malaysian Federation in 1963 which comprised Malaya, Sabah, Sarawak and Singapore. The section that connects Sarawak, Sabah, and Brunei is the Lawas–Temburong (Brunei) stretch, completed in 1997. The completion of the Lawas–Temburong (Brunei) stretch made travelling by car from Kuching to Kota Kinabalu possible. Both Sabah and Sarawak government continues to build newer sections to connect rural areas. The length of the entire highway is expected to be about 2,083 kilometres (1,294 mi) for the Malaysian section. Meanwhile, the Indonesian sections of the Pan Borneo Highway is known as the Trans-Kalimantan Highway. The western route connects the city of Pontianak to Tebedu. Prepare your car in the best condition by servicing it. Any cars can do but a four wheel drive has the advantages due to the condition of certain sections of Pan Borneo Highway. Be aware certain section of the roads are in poor condition. Land slide is common during raining seasons. When Borneo rains, it is heavy especially on mountain roads. Allow plenty of time to travel in PAN BORNEO. It'd be better to stay overnight for a good rest before continue your journey the next day. The official route for the highway actually begins at Miri, and it continues north towards Brunei, Limbang and Lawas in Sarawak, into Sabah via Sindumin, and onto Sipitang, Beaufort, Papar, Kota Kinabalu, Sandakan, Lahad Datu, Tawau and ends at Serudong on the Sabah/East Kalimantan border. The highway also extends southwards from Miri towards Bintulu, Sibu and Kuching, and ends at Sematan on the West Kalimantan/Sarawak border. 1- Upgrade from a 2-lane single carriageway to a 4-lane dual carriageway. 2- Modern bridges and proper Rest & Service Areas. The impetus for improved road connectivity across Sabah and Sarawak grew in the ‘70s, leading to a plan by the Governments of Malaysia, Brunei and Kalimantan Indonesia to develop further the idea of constructing a highway along the coastline of Borneo. It would be called the Pan Borneo Highway. Fast forward 50 years later and Sarawak’s major trunk road system today is the Federal Route 1, part of the Pan Borneo Highway or Trans Borneo Highway. It is mainly a 2-lane single carriageway of JKR R3 standard design. Only 144 km (13%) of the trunk road from Sematan to Lawas is a 4-lane dual carriageway of JKR R5 standard. Travel across the vast state of Sarawak continues to be a long journey – up to 19 hours from Sematan to Miri before. 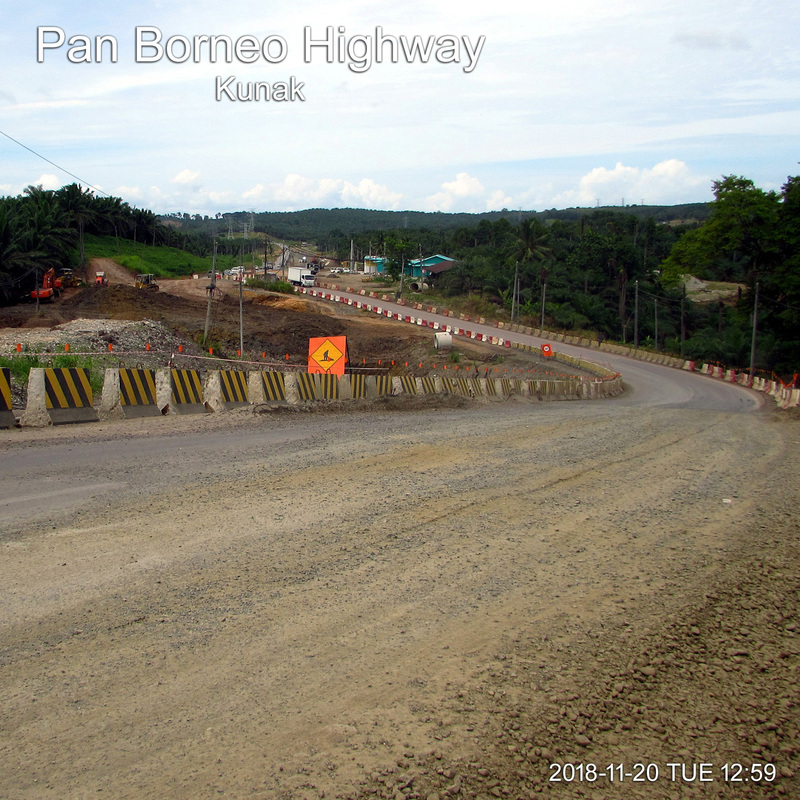 To accelerate the social and economic growth of Sabah and Sarawak, a major effort to fully develop and upgrade the Pan Borneo Highway was announced by Malaysian Government in April 2013. When completed in 2022, Pan Borneo Highway Sarawak from Telok Melano to Merapok will span a total distance of 1,089 km. Pan Borneo Highway is slated to be THE transportation backbone of the states of Sabah and Sarawak and will play a major role to open up economic corridors and opportunities in areas it transverses. The Malaysian Prime Minister in April 2016said contractors tasked in carrying out the 1,236km project in Sabah should not “sell” their contracts to other companies. The Malaysian Prime Minister said when launching the Sabah stretch of the Pan Borneo Highway at Kg Andus, some 50km south of Kota Kinabalu Sunday, 24 April 2016. 5- Pan Borneo Highway from Tawau Town to Kuching City. The first phase would see the construction of over 11.7km from Donggongon in Penampang. The stretch would be part of a 706km upgrading of existing single-lane trunk roads to a dual carriageway highway. 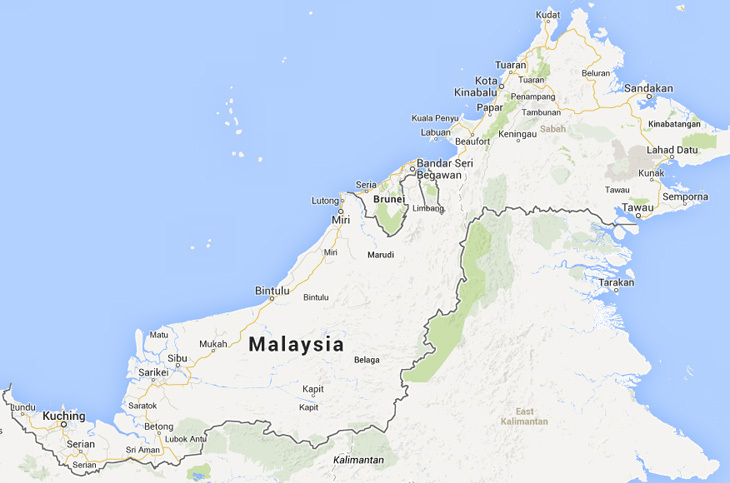 The highway would also see the construction of a new coastal highway from Tuaran to Sabah’s northernmost of Kudat. The Sabah 1,236-kilometre Pan Borneo toll fee dual carriageway from Tawau to Kota Kinabalu costing about RM12.8 billion would be completed by 2022. 2- the five-kilometre Tawau-Sandakan dual carriageway highway (Second package/Second phrase), which are expected to be constructed in early June 2016. The Sabah Pan Borneo project will create a positive impact on the infrastructure landscape and socio-economy in Sabah while it connects with the other main districts in Sabah such as Kota Kinabalu, Tuaran, and Kudat. This project will be implemented via the Project Delivery Partner (PDP) by Borneo Highway PDP Sdn Bhd (BHP) according to the Key Performance Indicator (KPI). The estimated cost for the entire Pan-Borneo Highway Sabah is RM2bil while the costs for the highway’s Sarawak portion is estimated to be at RM800mil. 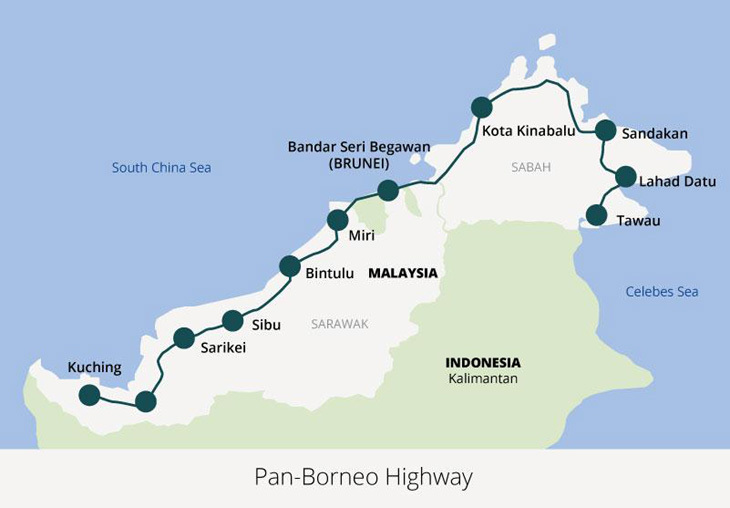 The first phase of the Pan Borneo Highway project in Sabah will be launched in the first quarter of 2016. The construction of the 2,239km-long highway would eventually link the major cities of Sabah and Sarawak. The project boost ties between Sabah and Sarawak. 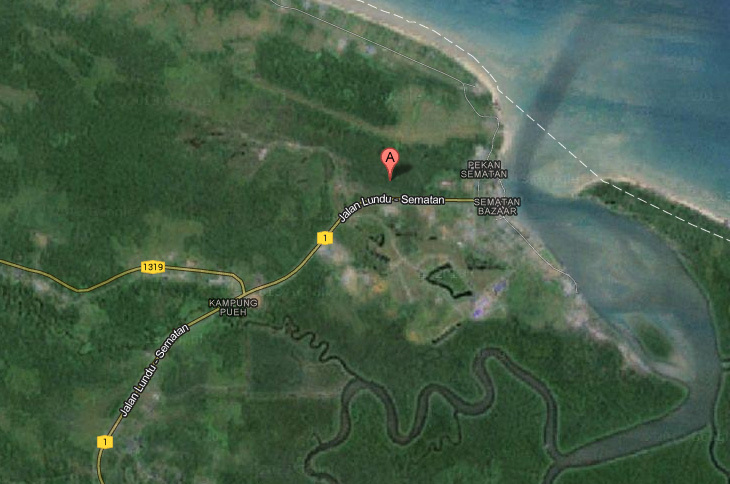 Sri Aman town is not on the Pan-Boneo Highway. The town is another road off the Highway. 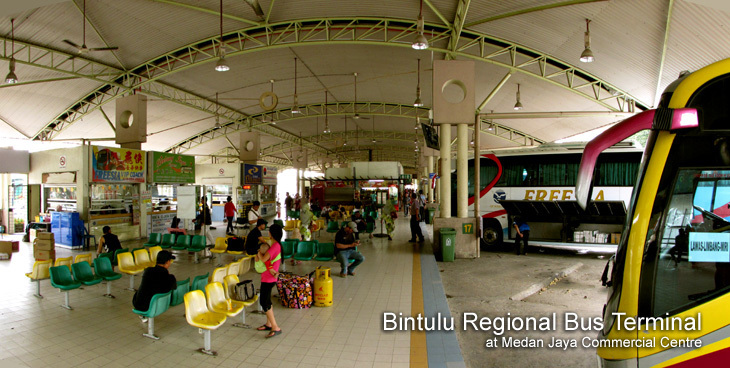 Terminal Bus Medan Jaya. Medan Jaya is a part of new township. The old Bintulu town is a few more kilometres toward the sea. 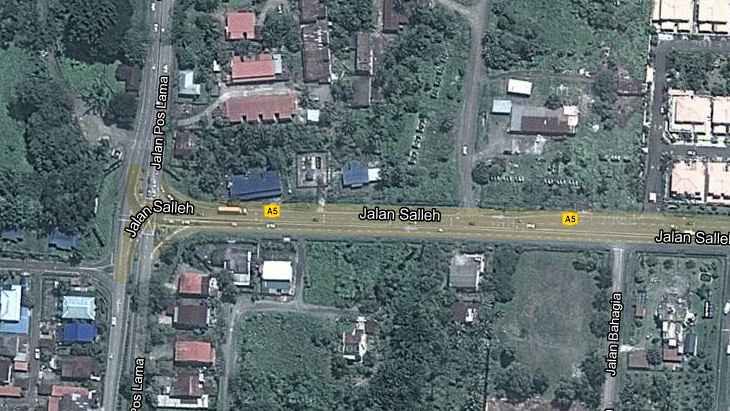 No buses go from the junction to the Batu Niah Town which is 11 km from this junction. The transport services for this section from junction to the town is cover by private cars (taxi) at around Rm 10.00 per car. There is no Bus Terminal building in Limbang Town. The location where express buses from Sarawak and Sabah stop for passenger to drop off and picking up is just at the road side opposite the Lim Yang Building. The blue express bus in above picture is Sipitang Express from Kota Kinabalu stopping here for lunch break before reroute to final destination of Brunei. 2- Kota Kinabalu to Bandar Seri Bagawan in Brunei. For buses travelling South toward Sarawak and Brunei. Route cover towns such as Sipitang, Beaufort, Lawas, Limbang, Miri and Brunei. 10 Km from Kota Kinabalu City Center. 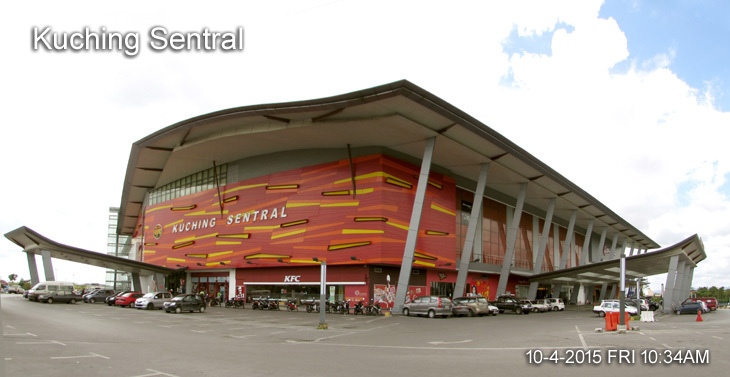 Bus station for regional express buse between Keningau, Kota Kinabalu and Tawau. The Sarawak portion of the Pan Borneo Highway is toll-free because the 1,076km stretch was the only main artery spanning Sarawak and there were no alternative routes available. This is unlike the case in peninsular Malaysia where although the North-South Expressway was the main link, there were many toll-free alternative routes that people could choose to travel on in West Malaysia. The first phase of the highway, the Pan Borneo Sarawak (not the whole Pan Borneo), costs RM15bil. Sarawak’s highway is toll-free is because this highway is the only road network across Sarawak. The highway improve the infrastructure of Sarawak and also open up economic opportunities for the people. The project will bring long-term benefits for the people of the state and was not a mega project that drained public funds. The 1,700km highway in Sarawak part is estimated cost of RM27bil, involves the construction and upgrading. 2- Dayak Chamber of Commerce and Industry. A newly set up company, Lebuhraya Borneo Utara Sdn Bhd, is undertaking the development of the highway, which is scheduled for completion in Sarawak in early 2023. LBU - Lebuhraya Borneo Utara Sdn Bhd is a Sarawakian company entrusted and mandated by the federal government to plan, organise and undertake the construction of the more than 1,000km Pan Borneo Highway from Tanjung Dato in Sarawak to Merapok in Sabah. As in 2015, 80% of the road between Sarawak and Sabah are nothing more than twisty country roads. 2- Inanam Bus Terminal by local bus to city centre. Limbang to Bandar Seri Begawan: To head towards the Brunei border at Tedungan, 43 km. away from Limbang, you should head southwards out of town past the museum. The road, which is also the road to Nanga Medamit (the start of the Headhunter's Trail) runs parallel to the Limbang River. Take a right turn at the KM10 point (follow Nanga Medamit and Batu Danau direction) and travel for another 13 km. before taking another right turn. Going straight will bring you to Nanga Medamit. The road crosses the Limbang River at Batu Danau village and continues right up to the border checkpoint at Tedungan. Just before the checkpoint, there is a collection of shops and food outlets. They basically serve to quench the thirst of beer-starved people coming across from Brunei. Lines at the checkpoint can be phenomenally long, especially during weekends. Once you sort out Malaysian immigration and cross the border, you will immediately come to Brunei's Kuala Lurah checkpoint. Both Malaysian and Bruneian checkpoints have drive through lanes for you stamp your passport but you may have to get out of your car to sort out the necessary car permits. From Kuala Lurah, its about 15 km. to Bandar Seri Begawan and very good roads. There are several junctions and roundabouts but there are very good signposts. Bangar to Limbang (20 km. ): This leg of the journey is short and should be relatively easy as traffic is light. It involves crossing two immigration checkpoints and one ferry ride at the border. A new bridge across the Pandaruan River is open as at 8 Dec 2013 eliminating the ferry crossing. From Bangar, head west and after about 5 km., you will come to Kampung Puni where you go through Brunei immigration (opening hours 6am to 10pm). This is not a drive-through facility and the immigration post is a one-story wooden building on the south-side of the road. Park and get your passport and car permits done. After landing on the Malaysian side, proceed to Malaysia's Pandaruan immigration checkpoint (opening hours 6am to 10pm) a short distance away. This is a drive-through facility although sorting out permits for cars may require you to park and get out of your car. With the opening of this checkpoint in June 2007, you no longer have the strange situation of having to get your Malaysian entry stamp (or exit stamp if traveling the other direction) in Limbang town. From Pandaruan, it is a simple drive to Limbang just under 15 km. away. You will pass Limbang airport just before entering town from the northeast direction. Lawas to Bangar (48km): This stretch used to involve a ferry and border crossing, but immigration checkpoints and a new bridge have eliminated them. From Lawas, take the road out towards Trusan, about 20 km. away. This will take you to the immigration point at Mengkolap on the Malaysia side 23 kms away. Once through that, it's another 100 meters to the Brunei customs at Labu. From Labu, its about 23 km. easy driving to Bangar, Temburong's administrative center. Malaysia Ministry of Works plans to upgrade the whole stretch of the Pan-Borneo Highway to dual carriageway in stages at an estimated cost of RM22 billion. Upgrading works began in 2011 and is estimated to be completed by 2025. Pan-Borneo road is fully tarred, with a total of 284. 65 kilometres already upgraded to dual carriageway. 1, 166 kilometres of the Pan-Borneo Highway is located in Sabah. Problem of Pan-Borneo Highway upgrade including the problem of heavy vehicles carrying loads that exceed the 38-tonnes load limit, which frequent the Pan-Borneo highway. This causes the roads to become damaged prematurely, thus incurring high maintenance costs.